Of all the queries made by students of the martial arts, “How do I get better?”, ranks among the top of the list. The solution to this goal is simple: just train – train often and train focused! Simple right? However let’s clarify “train”. Train is a verb; an action! To train is to develop or form the habits, thoughts, or behavior through discipline and instruction! To train is to make proficient by instruction and practice. To train is to make fit by proper exercise, diet, practice. To train is to discipline and instruct in the performance of tasks. To train is to treat or manipulate so as to bring into some desired form, position, direction. See a pattern? Training is a dynamic process of work. 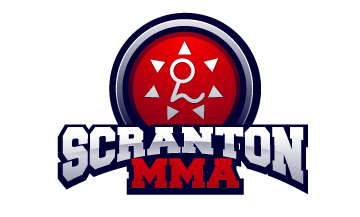 Training at Scranton MMA includes group classes, seminars, private lessons, and special event workshops; each a learning experience that will provide a tremendous amount of technique! These events are where you will make the greatest developments as a martial artist. The lessons at Scranton MMA provide a fun and interactive atmosphere and will allow a member to experience an array of training difficulties with people of different body types and sparring styles. On May 23rd and 24th legendary jiu jitsu master Royce Gracie will be instructing at Scranton MMA! What better way to improve your jiu jitsu than to train with THE legend? Call today to register for this event. See you on the mats!